No one told the gardens that school is out! This is the most productive time of year, and we need people to come help us weed, water, and most importantly, EAT all of this wonderful food! Please sign up for a time to come to the garden. On the day of your choosing, you may come any time that works for you, whether that’s early in the morning or after work. You may enter into the grounds through the fence on the north side of the school (The Shamrock Dr. side) if the school is not open. Please water BEFORE you harvest, assuming it didn’t rain in the last day. With your help, we can keep our garden healthy and productive all season long! I will be posting tutorials for weeding and harvesting here, so if you’re at the school and have questions, check back here. Here is how you turn on the water. 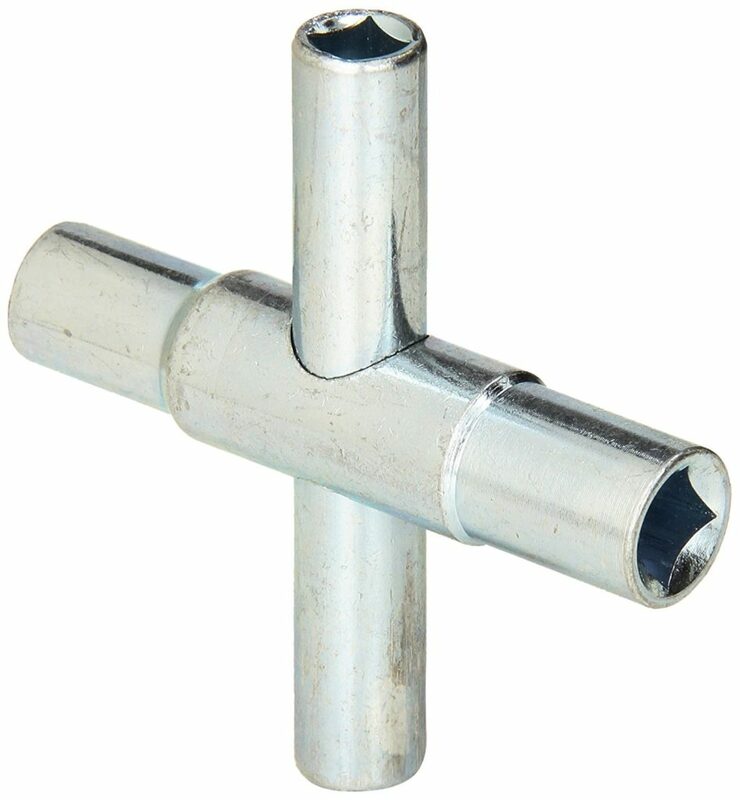 The water key should be attached to the hose by a string. Lefty loosey, righty tighty. 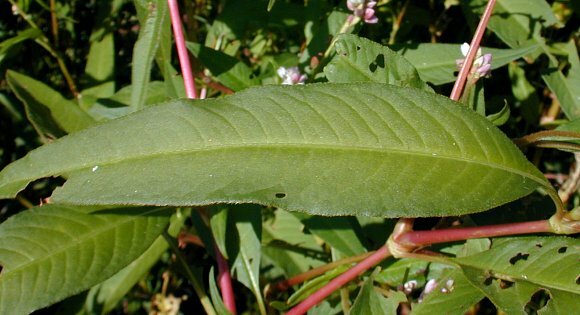 These are common weeds. Since we do not use chemicals in our garden, everything must be hand weeded. 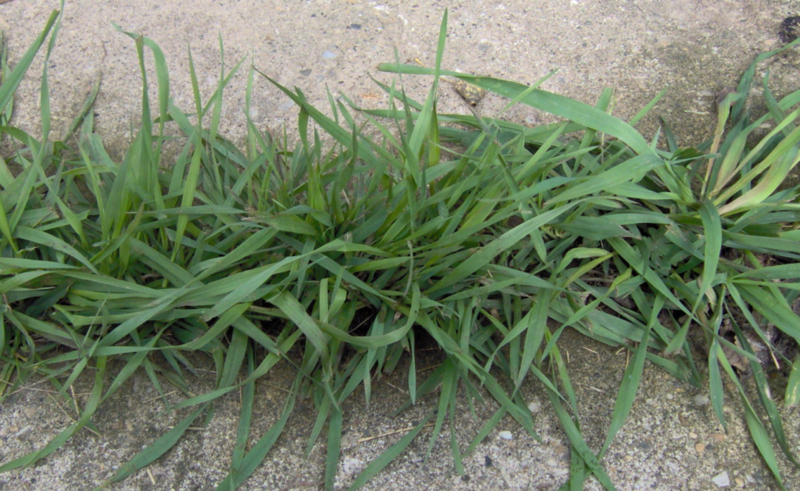 We haven’t had too much trouble with weeds this season, but it’s good to keep up on it so it doesn’t become an issue. When you are weeding, You always want to pull it by the base of the plant, shake out extra soil into the bed (we don’t want to waste any precious soil) and throw the weed outside the bed. 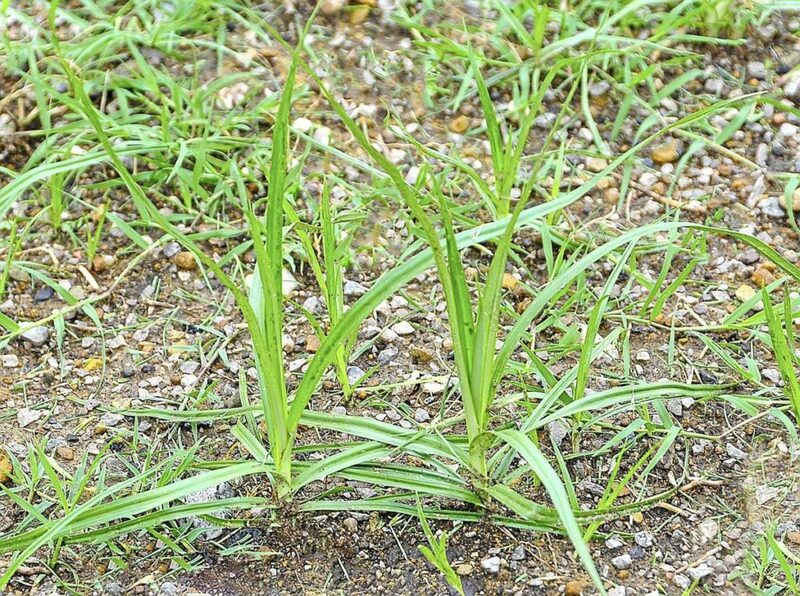 Bermuda grass, also called quack grass, is one of the worst weeds in our garden. One of the reasons why is because it spreads by rhizomes under the soil surface. It is important to pull this weed by the root. With this plant, it will most likely have much more under the surface than you expect. Follow it as far as you can before it breaks off to ensure it won’t come back. 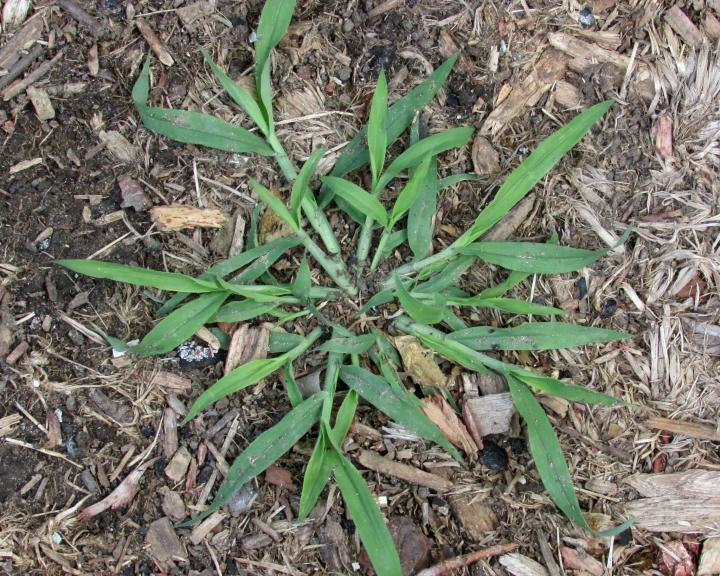 Crabgrass and bermuda grass look similar, but luckily crabgrass is easier to pull out. Just pull, shake the extra soil out into the bed, and throw outside the bed. Smartweed has been showing up in our hoop house. Please follow this plant to the base of the ground and pull it by the roots. 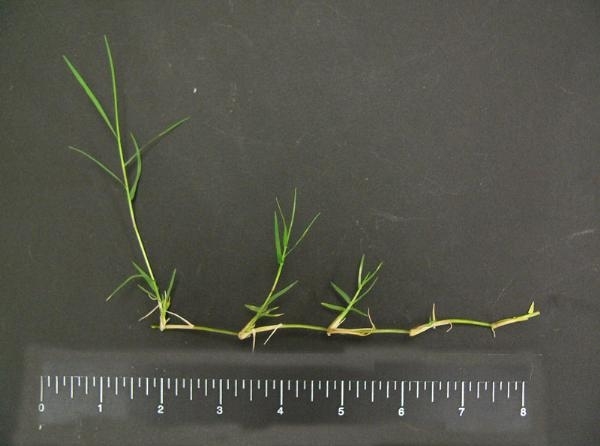 Nutsedge is easy to pull and looks like grass. If you see it, just pull it up by the base. 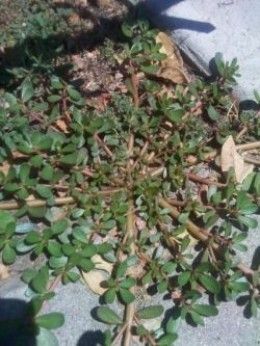 Purslane is a weed that radiates from one center root, so it looks bigger than it is. Find the center and pull it right up. 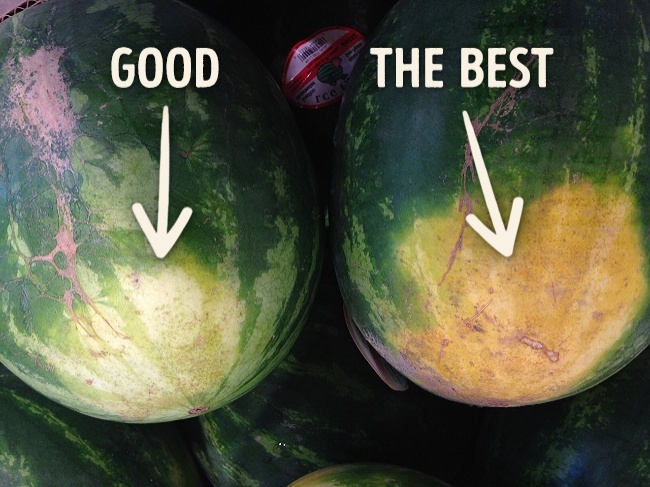 Watermelon DOES NOT RIPEN once it is picked. So if you pick it too early, the only good place for it is in the compost. **CRIES UNCONTROLLABLY** Here’s how you know when it is ready. We have watermelon growing in the hoop house in the lower courtyard. Tomatoes can be picked when they are almost red. 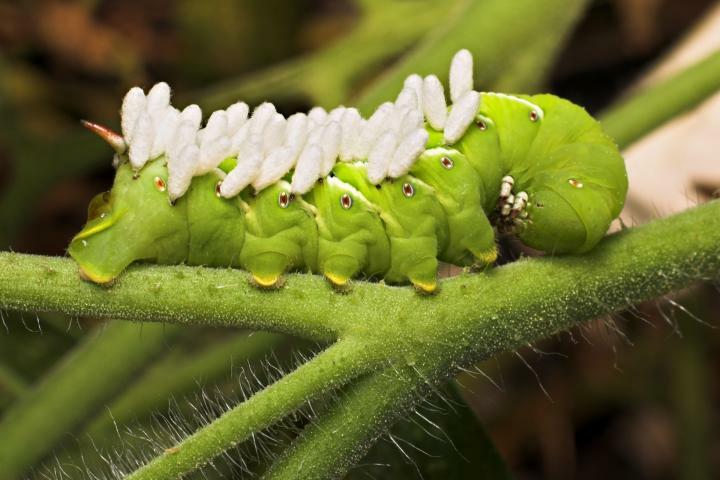 If you wait until they are fully red, you risk having them split, fall off the vine, or being eaten by garden critters. They will continue to ripen off the vine, so it’s okay to pick them a little early. We have tomatoes in the upper and lower courtyards. 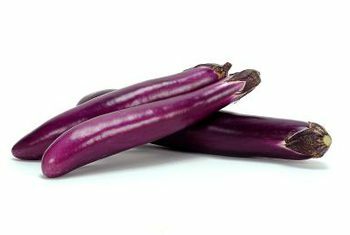 Fingerling Eggplant are a smaller variety of eggplant which we have planted this season. Pick them when they are 3-6 inches, are nice and purple, and still spring back when you push on the skin. If it sinks in, or is bigger than 6 inches, it is probably too ripe. Still pick it even if it is too ripe, as this encourages more fruit production. We have this growing in the lower courtyard garden. 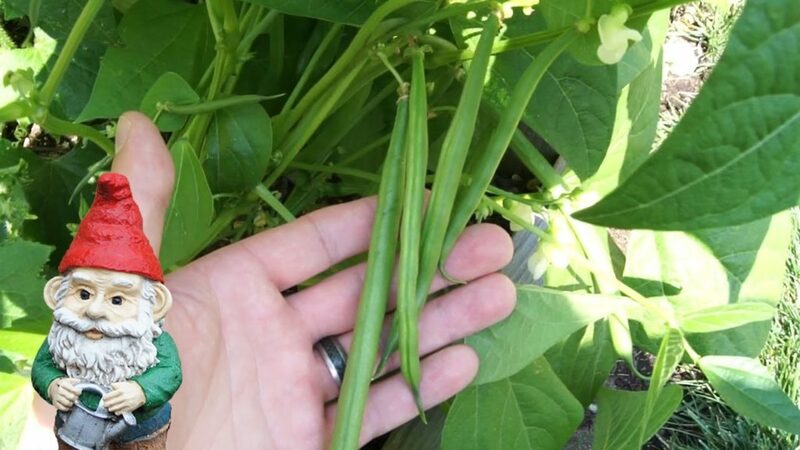 Green beans are pretty easy. 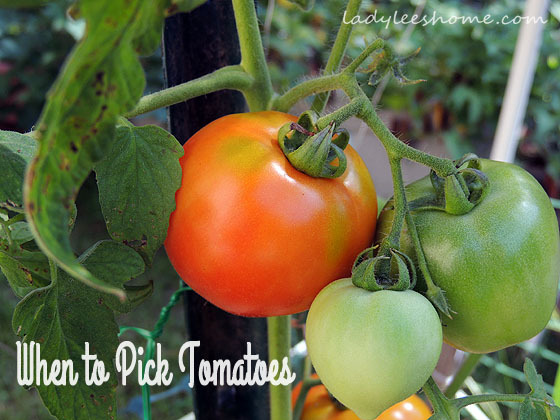 Pick them when they are smooth and not lumpy. 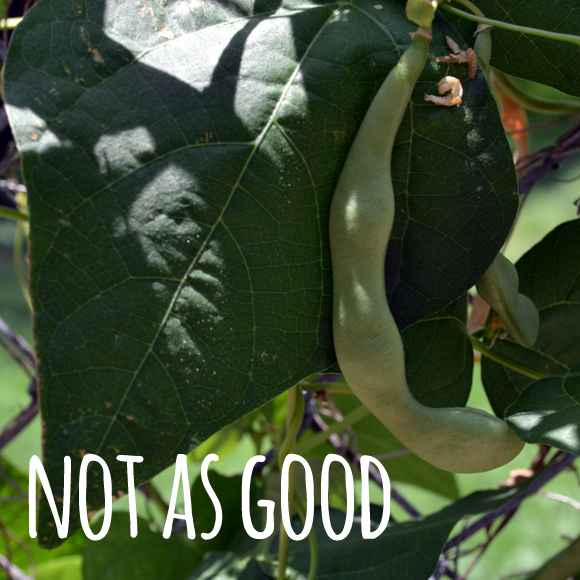 Lumpy beans are overripe. Pick them right where the bean meets the stem. Here’s a good time to pick them! These are growing in the lower courtyard garden. 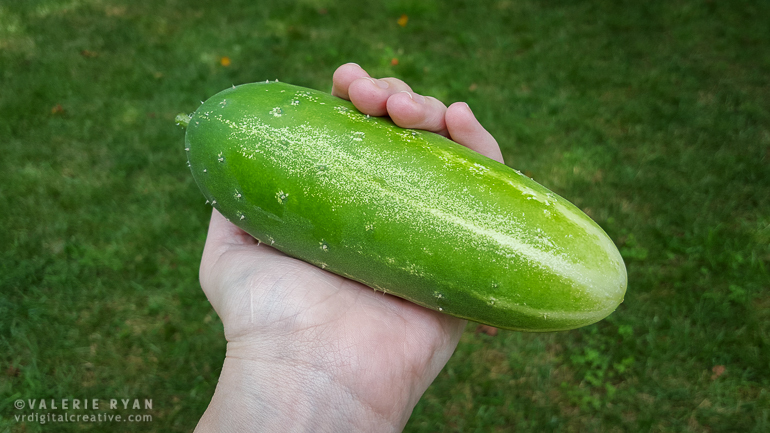 Cucumbers should be picked when they are about 6 inches long. You can break the stem where it meets the fruit. We have these growing in the upper courtyard. Previous Post Goodbye Mr. Marcus!